One of the world’s most recognized artists is making his mark on Denver. Self-Portrait Leaning on a Stone Sill, 1639. Etching, with touches of drypoint; image height: 8.07 x image width: 6.45 in. Bibliothèque nationale de France. Image courtesy of BnF. On view now through January 6, 2019 at The Denver Art Museum is Rembrandt: Painter as Printmaker. 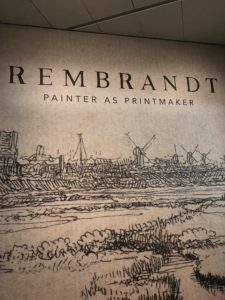 The DAM is the sole venue in the U.S. to display Dutch Master Rembrandt van Rijn’s work and offers visitors a peek into his life and career of printmaking. The exhibition also coincides with the 350th anniversary of the artist’s death (1606–1669). Nearly 100 prints from Rembrandt’s 40-year career showcase his approach to printmaking and how he combined the three principle methods of intaglio: etching, drypoint and engraving. Works on view include self-portraits and portraits of prominent Dutch figures as well as biblical, still life, allegorical, genre and landscape artworks. Rembrandt: Painter as Printmaker is on view at the Denver Art Museum through January 6, 2019. 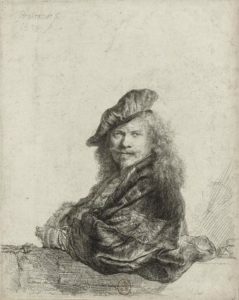 Although the exhibition centers on Rembrandt’s printmaking, 17 drawings and several paintings are also on view. The exhibition is included in general admission and thanks to the Free for Kids program, is free for youth ages 18 and under. Scott Reiman and the Reiman Foundation sponsor the Free for Kids program and support initiatives that offer kids access to art and cultural experiences.